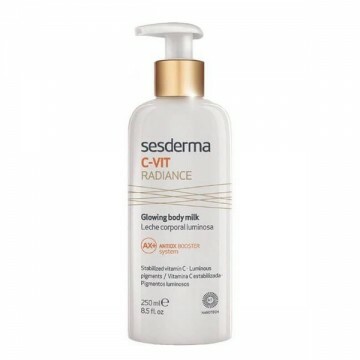 Sesderma C-Vit Radiance Glowing Body Milk is a light lotion that boosts the skin's radiance and helps to nourish the skin, to highlight your very best self. Thanks to the fine light-reflecting pigments, this lotion has an immediate tan-enhancing effect. With continuous use, the Vitamin C in the formula boosts the skin's radiance and your skin becomes hydrated, nourished and the most radiant version of itself. 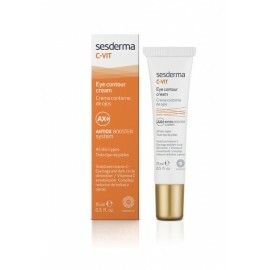 The formula combines ingredients which give instant radiation with those who will provide long-lasting effects on your skin, along with antiaging ingredients that protect the skin against premature aging. 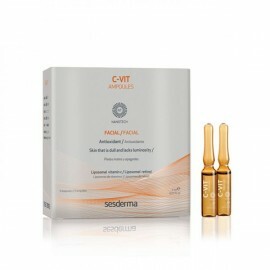 Within 28 days the skin becomes 58% more revitalized, with a 68% more radiance and 79% more toned. Perfect for the legs, shoulders and chest. Light reflecting pigments helps to illuminate the skin. 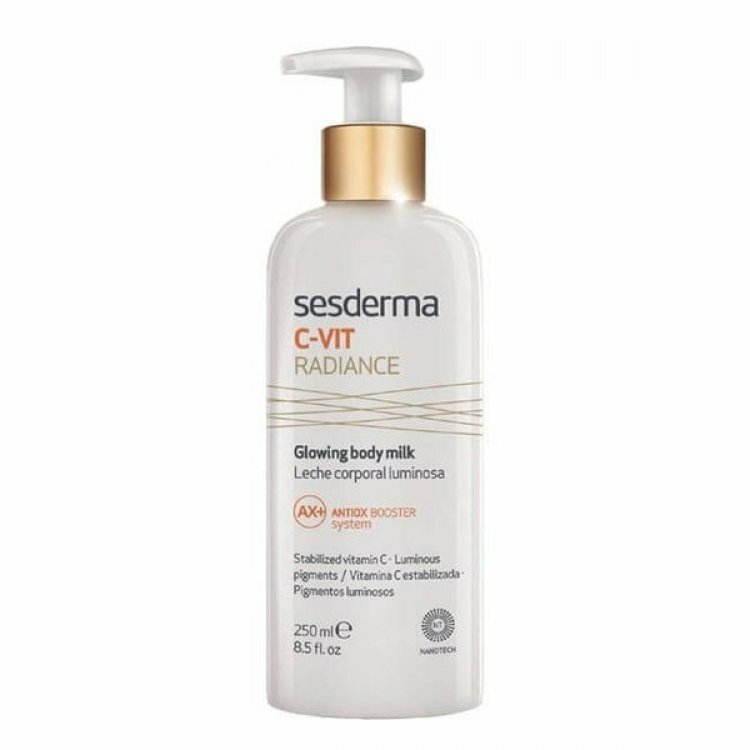 Apply Sesderma C-Vit Radiance Glowing Body Milk on the body with a massage, until the lotion has been fully absorbed.